This just got in. Courtesy of 9 Works Theatrical Facebook page, the cast of The Wedding Singer Musical is officially introduced. And look who's joining the cast. MYX VJ and TV Personality Iya Villania will soon be joining a cast of professional stage actors and set to play Julia Sullivan, the role originated in the New Line Cinema film by Drew Barrymore. Also joining Iya is Singer-actress and TV Personality Nikki Valdez who will play Holly, Julia’s bubbly, uninhibited and lovable cousin. Not really sure if this is the first time Iya and Nikki will be joining a professional stage musical but so far in the course of 5 years (when I started watching musicals here in manila), I haven't heard that this two ever joined one. So this news just really hit me hard that I forgot I'm already sleepy and make me more excited to see this Manila production of Wedding Singer Musical. The rest of the cast includes Gian Magdangal(Robbie Hart), Johann dela Fuente(George), Lorenz Martinez(Sammy), Enchang Kaimo(Rossie), Jeremy Aguado(Glen Guglia), Myrene Santos(Linda), Shiela Valderrama(Julia Alternate) and Analin Bantug (Holly Alternate). Update! Extended Cast revealed: Chinie Nepomuceno, Arnold trinidad, James Stacey, Shelyn Tayanes, Mian Dimacali, Mark Tayag, Myrene Santos, Jonjon Martin, Bym Buhain, Sylveth Ong-Iko, Harold Cruz, Ikey Canoy, Peachy Atilano, Francis Matheu, Sab Jose, Miguel Vasquez, Jenny Villegas and Nikki Guevara. Now it is time to party like it's 1985. Watch out for 9 Works Theatrical's next offering The Wedding Singer on October 23 until November 17 in Meralco Theater, to be directed by Robbie Guevarra. I love the Wedding Singer the Musical, but I might not watch because I don't like Gian or Iya. Boo! Poor choices. Watch The Wedding Singer Musical on October 30, 330pm. 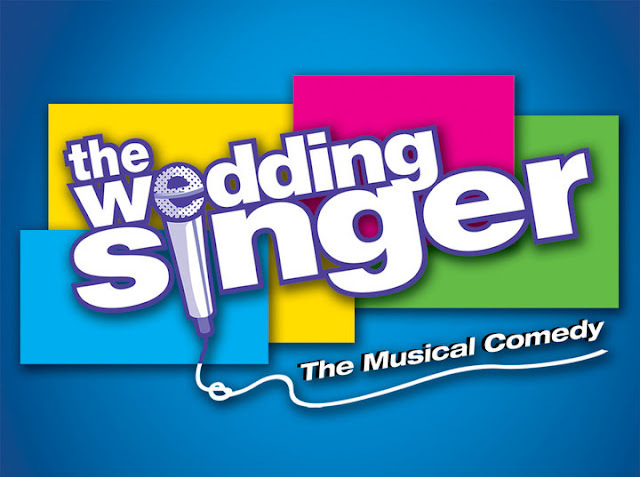 Be the first to catch The Wedding Singer Musical Comedy on October 23, 3:30pm. Visit our online seatplan http://bit.ly/weddingsingeroct23seatplan to view the available seats. Reserve now! the best seats are selling fast! Contact 0917-5150736 for inquiries and reservations. Part of the proceeds will go to the STAMP Foundation - an NGO centered on promoting arts to kids.